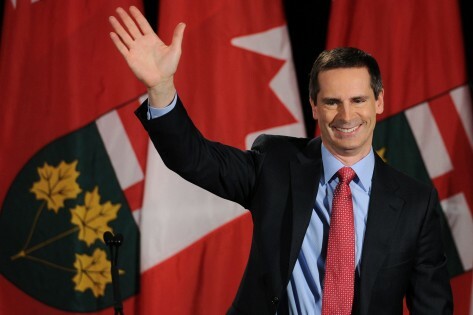 Last night the Liberal party got elected to a majority government in the province of Ontario. This means Kathleen Wynne remains the Premier of Ontario. I am disgusted. To be fair, there was no outcome that would not have resulted in my disgust so no need for Liberal party freaks to go all ballistic on me – unless you think it will make you feel better in which case go ahead. It’s a free internet. 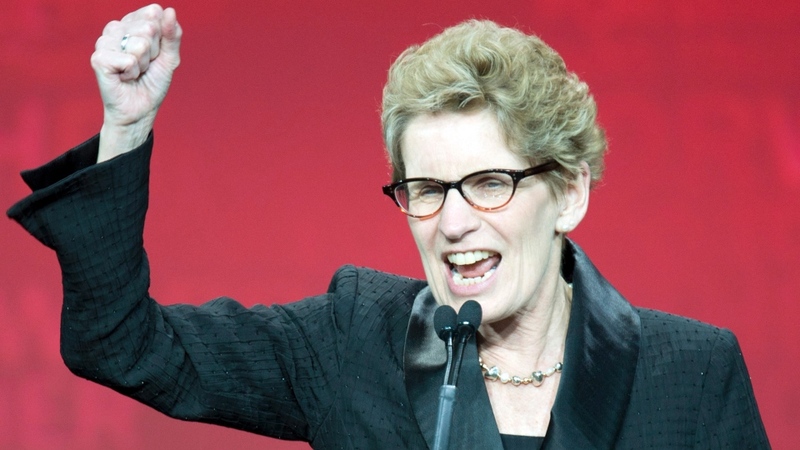 Anyway … today I’ve seen countless pictures of Wynne doing the fist pump victory pose. Each time I see one of these photos I get more and more irritated, and I’ve been doing a lot of thinking about why that is. Contrary to the obvious reason, it is not because I wanted someone else to get elected, because I really don’t think anyone who was running was going to be worse than anyone else. It is also not because I feel let down in general, although I do. No, I’ve come to realize that I am irritated by what it represents. It represents victory, and getting elected is not a victory. At least that’s not what it’s supposed to be. It’s supposed to be an assignment. In politics getting elected does not mean you have accomplished anything of significance. It means you managed to convince a population that you are the right leader, who, in theory, intends to accomplish a great deal. These days that means you were the best liar with the most effective propaganda campaign, who most successfully demonized the other candidates, along with a mainstream media that shoveled your lies for you. How admirable. The big celebrations politicians have make me wonder – really, deeply wonder – if they realize that what they have “won” is the burden to lead responsibly and to follow through on the promises to their constituents, as opposed to advancing their own personal goals of fame, power and money. It means they have been given a chance to accomplish great things. Getting elected to public office is the beginning of a long season. It is not a championship. But politicians sure act like it is. They prance around and accept the praise of the minions as though they have earned some great personal victory. As though they have WON. See how victorious they are? See how they accept the love and praise of the crazed masses? Our society and our politicians have forgotten what it means to elect a leader in a democracy. We’ve forgotten that it means we just hired someone to do an important job. That they work for us. What other job has the bosses throwing giant adoration parties for the new hire? It’s absurd. In any company a boss celebrates an employee only after they have made good on the promise they showed in the interview process. They don’t attend parties thrown by the new employee and cheer rabidly as the person they just hired raises their arms in victory. If it were me having been elected I would not be celebrating. I would be scared to death in much the same way I was when my kids were born, or the first time I had to go into a classroom and be an educator and mentor to a room full of other people’s children. I would be looking forward to celebrating the successes of my tenure in much the same way I celebrate my kids’ successes as they grow, or my students’ successes as they learn. I would be standing in front of my constituents, humbled, acknowledging that I understand the burden of the trust they have placed in me, and then I would get to work. I would save celebrations for times when something was accomplished that made their lives better. I would not have a party to kick it all off, simply so political junkies could hoist me on a pedestal and proclaim my greatness. Maybe that’s a character flaw of mine, but I don’t think so. And I would not pump my fists. My fist pumps would come later. After I had actually accomplished something people could celebrate.